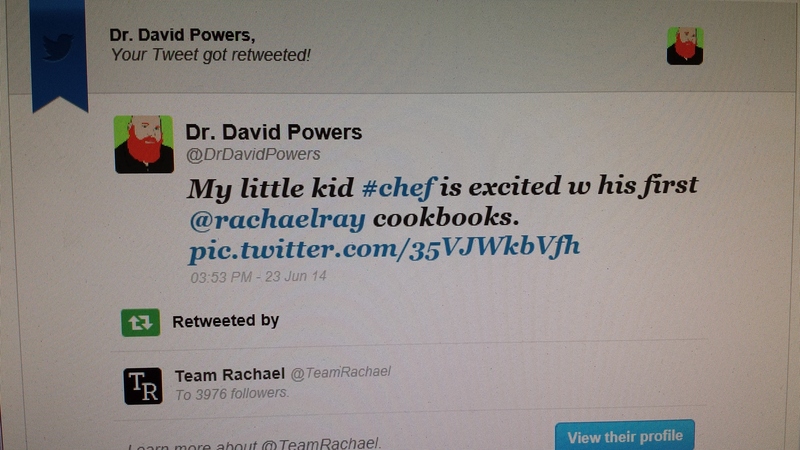 My dad posted a pic of me holding my new Rachael Ray cookbooks. Guess what? 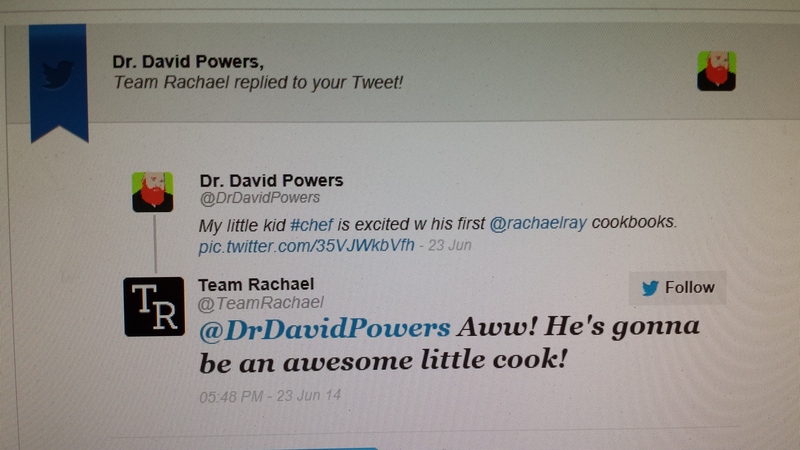 Rachael Ray’s team retweeted the post and even answered it back. That is so cool! 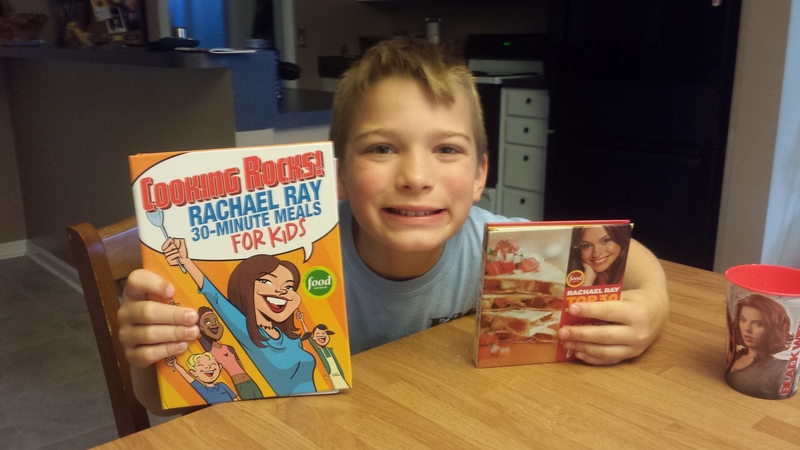 My new books are Cooking Rocks and a 30 Minute Meals book for Kids. Don’t forget my charity water dinner party fundraiser I’m cooking for next week. You can find more info HERE. 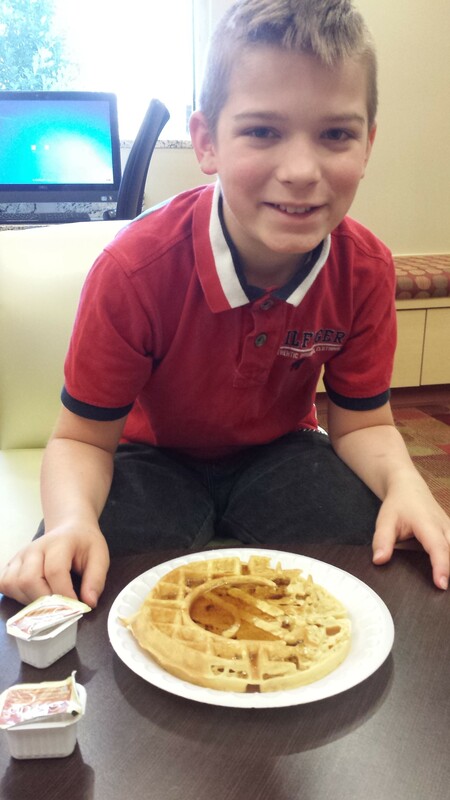 Abishai’s FoodLab will be serving up spectacular egg creations to raise money for charity: water on July 17 at 6pm. I am giving away my birthday to cook for you to provide clean water for others. The donation for a ticket is $10. You can buy them from me in person, at The Pilgrimage, or bring a receipt of your donation that you made through the charity: water website. If you’d like to see a cool video that Scott Harrison made with my dad, click below. I just wanted to let everyone know that my dad opened me up my own channel on Youtube. It’s called Abishai’s FoodLab, and I’ll be posting my chef videos there. Click HERE to see it and subscribe. If you want to be a chef, you have to focus in the culinary arts of food. 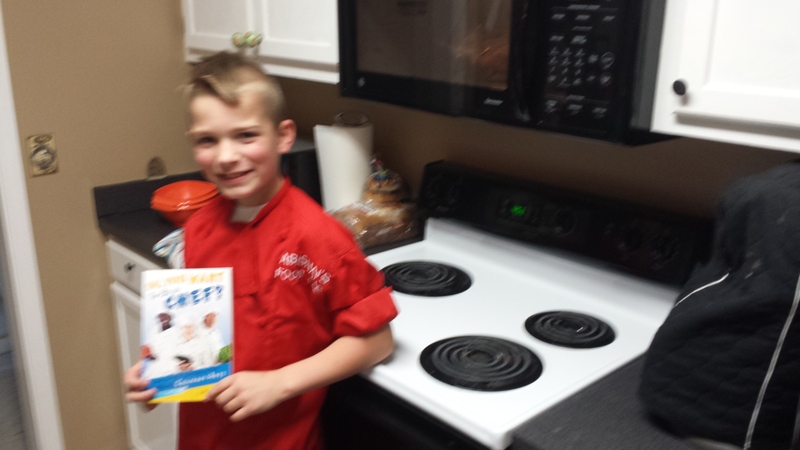 If you are a kid who wants to know how to cook there are kid’s cooking summer camps everywhere. 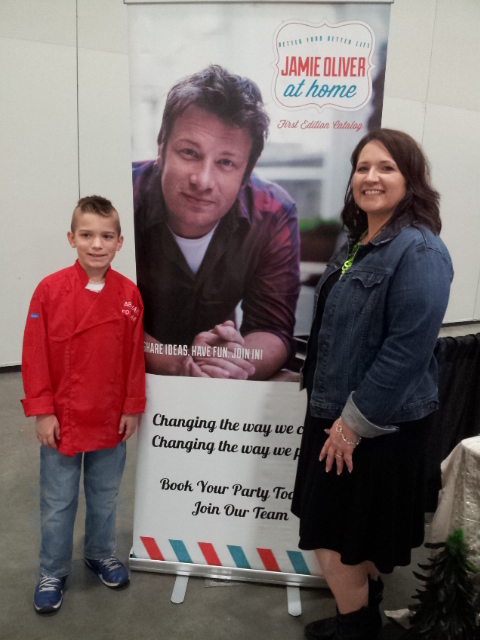 A guy named Luke Thomas started cooking the age of 3 and went to culinary school at 19. That shows you that anybody can cook. A sous chef works under an executive chef and has to do what he or she tells you to do. There is also another chef called a station chef. They stay at their stations and work on certain things. In a restaurant there is a pastry chef that handles all the desserts that aren’t cold. Cooking is good for special events like birthdays, anniversaries, and retirement parties. The best way to get ideas for your restaurant is go to other restaurants and get ideas. Even if you don’t want to be a chef you can be a food editor. They make chef shows for other people. You can also be a food scientist. They measure how much of one thing goes into something like chemicals. Those are some of the things I learned. I learned a lot out of this book. I even learned some definitions like boil (to cook a liquid until it bubbles) and sauté (to cook foods quickly in a small amount of fat). This book has taught me a lot. It is definitely worth getting for sure. I got it for Christmas and I love it. Hi, my name is Abishai. 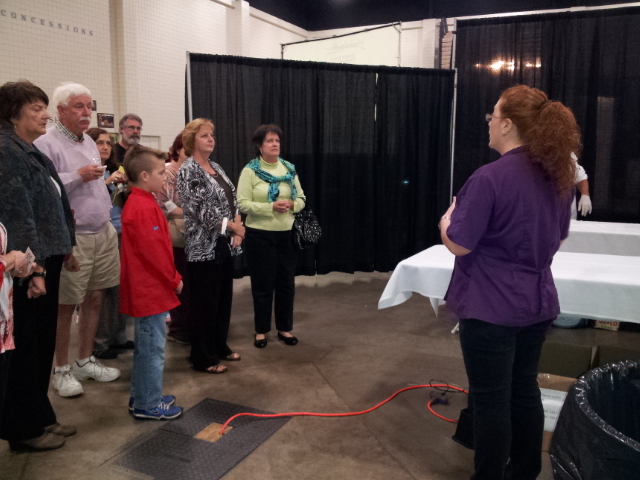 I just went to a cooking show at the Myrtle Beach Convention Center called the Taste of Home Cooking School. My mom and dad got it for me as a Christmas gift, and I also got a red chef’s coat with Abishai’s FoodLab embroidered on it. 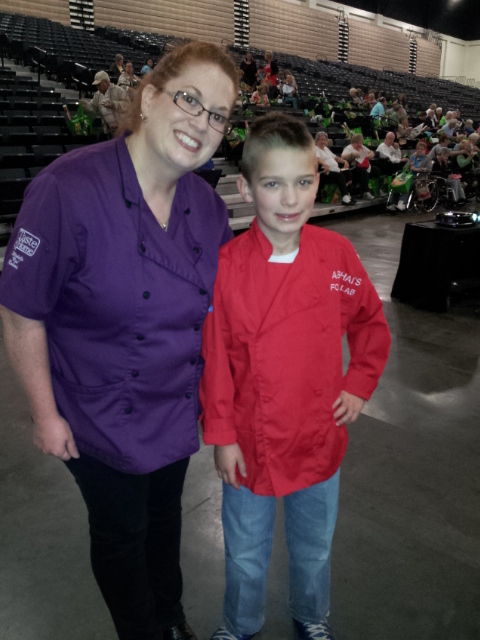 My chef coat came from Lisa at Chefskin. My mom and I got VIP tickets so we got in first, and we got special stuff like a brand new cook book. The person who was running the show’s name is Michelle. She brought pots, pans, and everything in the back of a minivan. She considers herself a master packer. She made all kinds of stuff like Mini Cheeseburger Pies, Chiliville Chili, an Appetizer Wreath, a Casserole, Caramel Apple Strata, Eggs Benedict, and finally, a German Chocolate Cake. 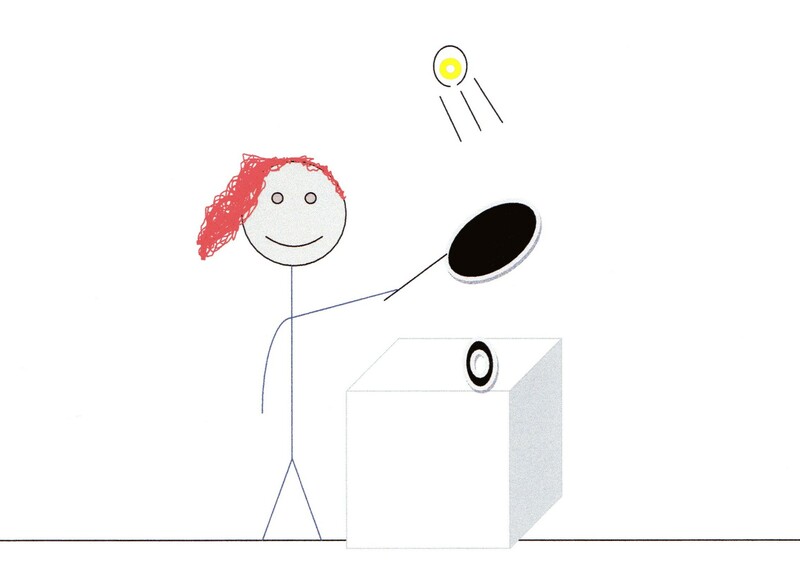 I drew this picture of Michelle ‘Red’ Roberts cooking an egg. 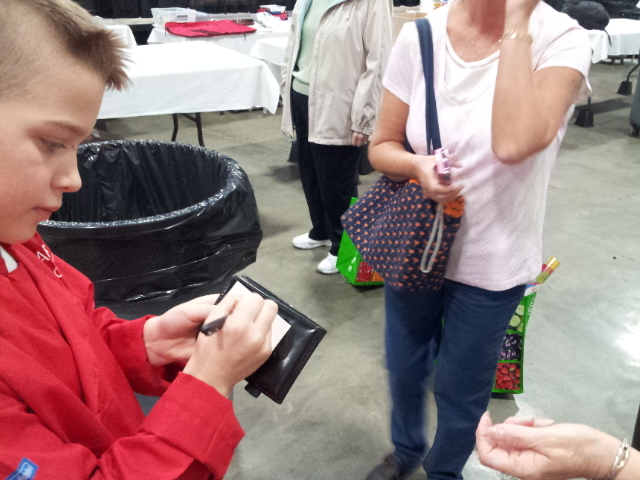 Here I am signing autographs for some ladies at the show. I’m signing the back of my new business cards. 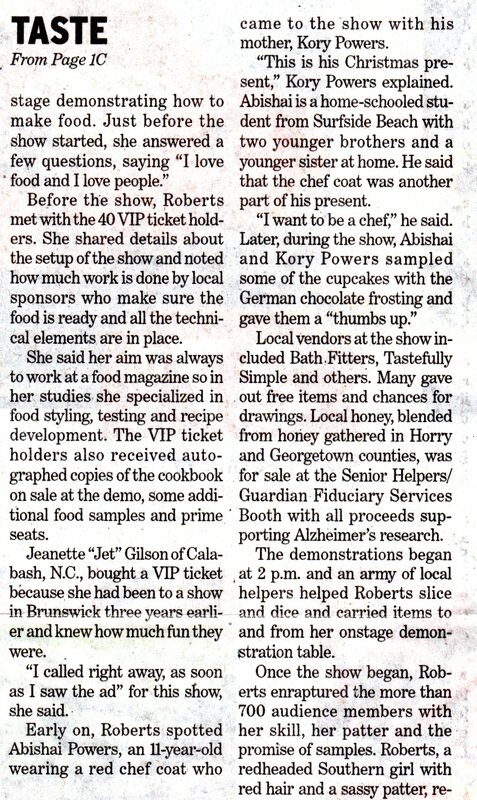 Lastly, here’s a newspaper article I’m mentioned in.